Madrid is a capital with a festive atmosphere and an architectural tradition that is well worth exploring. 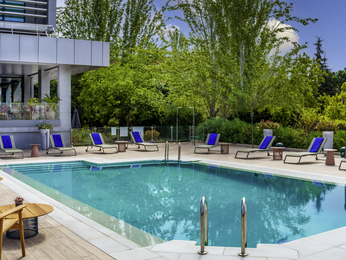 Novotel hotels welcome you to Madrid for a change of scene. Madrid is the ideal city for museum lovers to visit. For a cultural smorgasbord, admire the classicism of the Prado, paintings from the 13th century to the modern day at the Thyssen-Bornemisza museum and contemporary art at the Centro de Arte Reina Sofía. Discover unmissable monuments like the Palacio Real, the Plaza Mayor, the Convento de las Descalzas Reales or the breath-taking Egyptian Templo de Debod. Or perhaps you want to visit a Bohemian district? Then visit Laapiès, a distinct village with restaurants from the four corners of the world. For a bit of peace and quiet, enjoy the slower pace of the Latina district with its alleys, stairs and small squares before strolling through the twelve hectares of Buen Retiro park. For aficionados of more active evenings, enjoy a tapas evening, moving from bar to bar, before dancing till dawn in the Malasaña and Chueca districts. 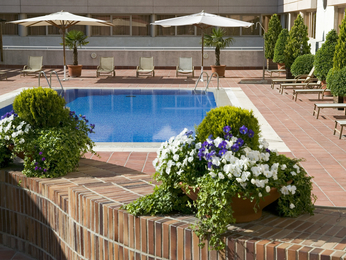 Succumb to the charm of Madrid for a weekend steeped in history, nature and culture. 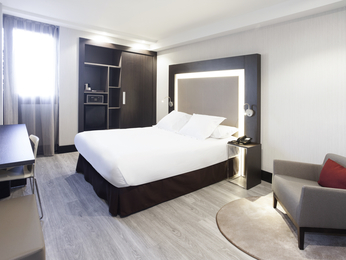 Four Novotel hotels await you in strategic locations around the city for a memorable stay in Madrid.